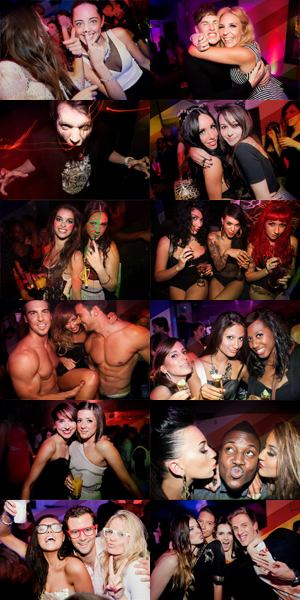 Movida Nightclub - The Hottest London Nightclubs - Get on the Guestlist & Book a table! Looking for a fun night out filled with extravagance and glamour? Come to Movida! The Movida Night Club is the current happening spot, and is one of the top choices for where people want to go when they’re looking for a fun night out on the town while in London. You may even see celeb’s like Tinie Temper and Katie Price! Eve Kelis, Girls Aloud, and Rihanna have all been seen at the Movida Night Club. Movide is a place where lots of celebrity’s like to go because they like the high-end atmosphere and because there’s plenty of security. Whether you need a small, concealed table for two or would like to relax at our bar, which offers some of the best and most interesting mixtures of cocktails, Movida is the place to be! You’ll need to either be a member or be with a member of Movida in order to gain entry into the nightclub. Occasionally, we’ll create a GuestList so we can allow a select few into the club that night. We can help you get on the Movida GuestList. Simply let us know which night you want to be there and how many people you wish to bring. Be sure to dress appropriately, as Movida is a luxurious nightclub that requires a certain attire. Once inside, you’ll be escorted directly to your table. A place to hang your coat is available. Recently renovated, Movida back is now divided into 2 parts: Mood & Movida GuestList. ~Mood has a lavish bar for those who take pleasure in enjoying one of our many delicious cocktails. The DJ will entertain you with their upbeat music while you drink your cocktails and get ready for a night of dancing! ~The Movida GuestList is a spectacular and sensual space that is meant to please all of your senses. There’s lots of security so there’s no need to worry about having your privacy protected. There’s even private bathrooms where you’ll receive any assistance you may need. The dance floor is well lit so everyone can see all of your best moves!